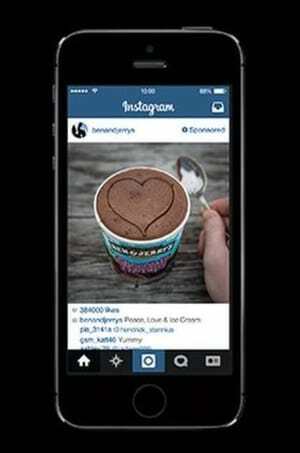 Instagram will introduce paid advertising to Instagram in Australia later this year. Facebook, which owns Instagram has announced that Australia is one of the next countries where advertisers will be able to run ads on the platform. It has been trialling paid ads in the US with a select number of advertisers since November but has strict guidelines on the creative brands can use so that the content feels “natural in people’s feeds”. The trial allowed users to give feedback on ads so that Instagram could gauge the response and “learn what people liked and didn't like”. There are more than 200 million Instagram users globally. The platform plans to take the “same level of care and consideration” as it introduces ads into other regions. Advertising will also roll out to the UK and Canada at the same time. The roll out will continue to other regions further down the track. “As with our initial roll-out, we are committed to learning as much as we can while building Instagram as a sustainable business. With this and future expansions of our advertising platform, we remain dedicated to building Instagram into the best possible experience for our entire global community,” the post continued.